As a manager, knowing what your team is up to is of great importance. The default Weekdone weekly employee report template is based on the best practice PPP (progress, plans, problems) process. Want something different, more creative and emotional to collect feedback from your team as a manager? Go ahead. Here are some creative ways we've seen managers asking their employees for feedback, the ones that employees also often appreciate and don't take as a chore. Everyone in your team has great ideas on how to improve their work or your company. Create a question that collects ideas and suggestions, what and how could be improved. You'll be amazed and some of the stuff people come up with. It also creates a feeling of empowerment in your team. If there's one thing you would change at work, what would it be? As a team, what could we do differently next week? Weekdone already has built-in 5-star weekly work happiness ratings that take just one click and show well trends in your team over time. You can go even further and ask how are your employees feeling or what they are thinking. If possible, make the questions actionable so you as a manager know what works and what needs to be improved ASAP. 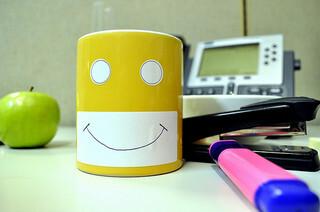 Some managers say work is not a place for emotions, but we tend to disagree. Did something at work make you happy or sad this week? How did you feel at work this week and why so? One thing that was really great or bad in our team this week? Instead of generic company-wide report, use one customized for a specific role, be it sales, marketing or software development. Have a look under Weekdone's Template Settings, there's even a sample sales report available there. These were just some examples being used by Weekdone customers, but there are no limits. To get more ideas about weekly reporting usage read our customer interviews. Use whatever works in your team and what you want to know from your employees to build a happy and productive workplace. The questions and categories that are sent from Weekdone to your team are fully customizable. Feel free to rename categories or add questions to match your company culture and your management style. And always remember to give employees feedback either after the weekly reporting deadline or on a daily base, both online as well as face to face. Remember to follow us on Twitter, Google+ and Facebook for all about weekly reporting, status report sample, status report template and more!